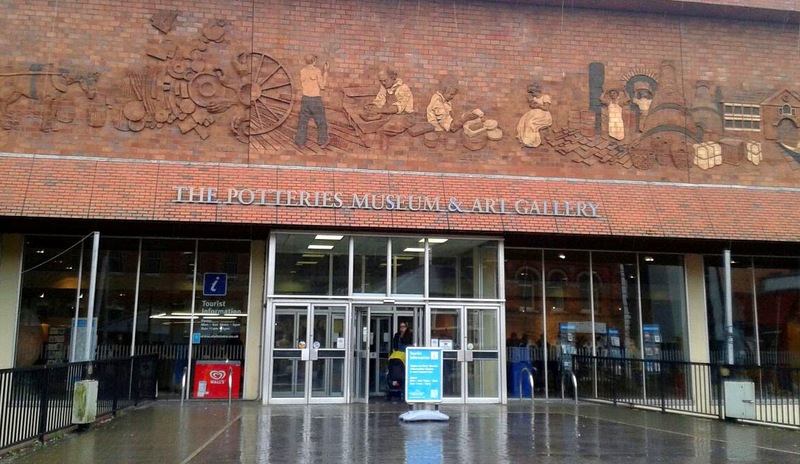 I paid a visit to Stoke-on-Trent this week and popped in to the Potteries Museum and Art Gallery, where among the various exhibitions is a display called Shout Out! 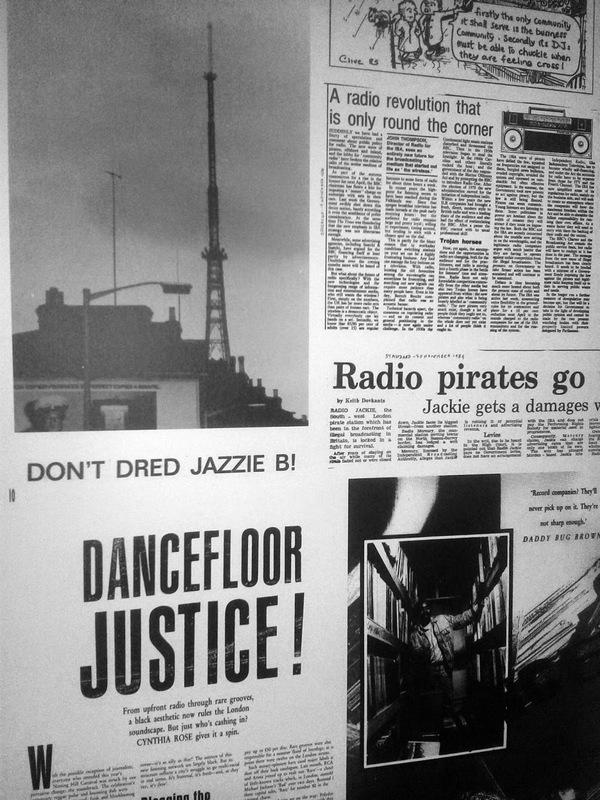 UK Pirate Radio in the 1980s. So it doesn't quite fit in with what I usually do on this blog, but I thought it might be worth a mention and a few photos. 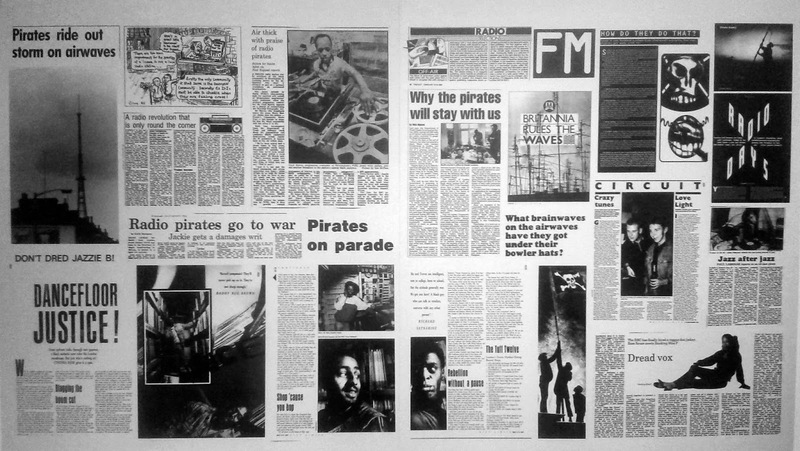 The exhibition is only small but features lots of newspaper clippings from the era in the 1980s when there was a surge of pirate activity on FM as stations starting appearing to cater for audiences who struggled to find their style of music on mainstream radio. 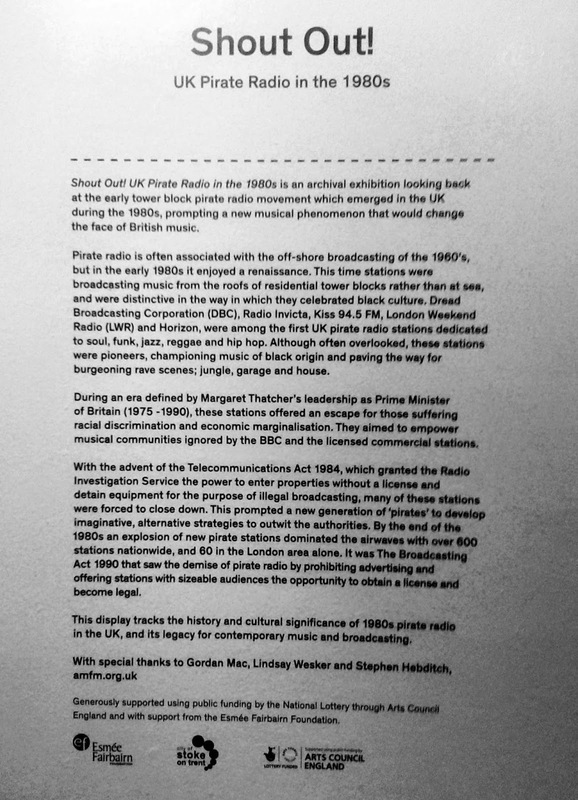 It mentions how at the peak of FM piracy in the UK some 600 stations were operating up and down the land. 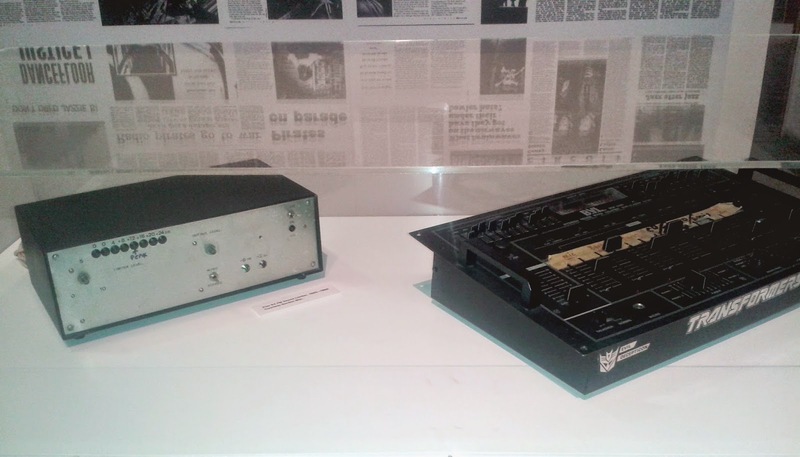 The exhibition will remain at its current home until May 9. 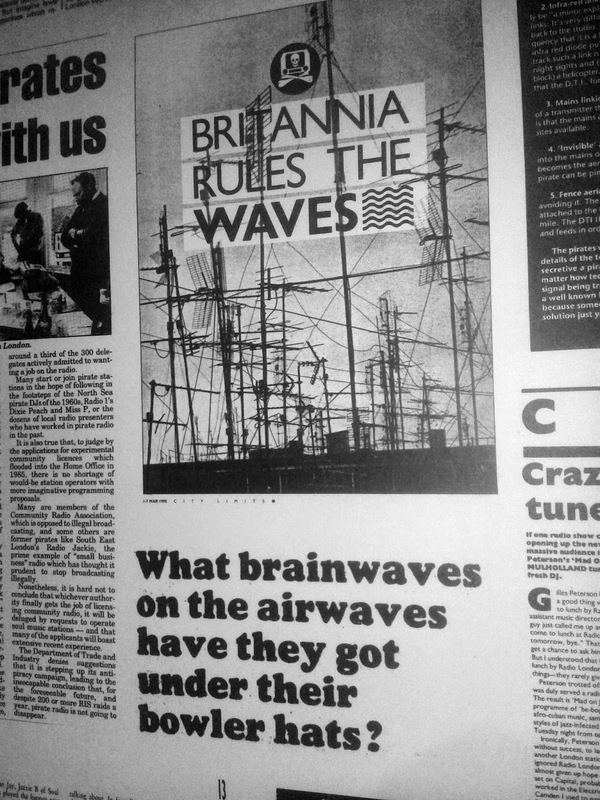 There was even a pirate tv station called, I think, Tip Top TV..
A great period to be growing up and getting involved in music and radio. 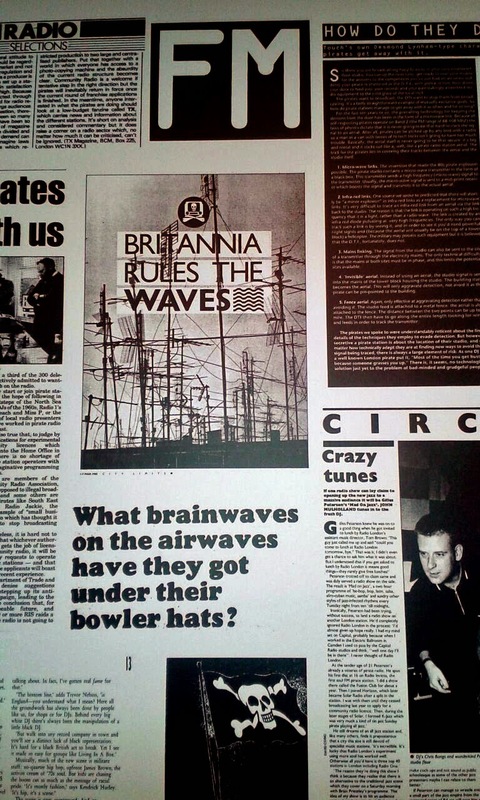 Here in Bristol, it is nice that a lot of the original broadcasters from the many FM pirates of the 80's and 90's are still about, doing work for internet and community radio stations and keeping the vibe going.